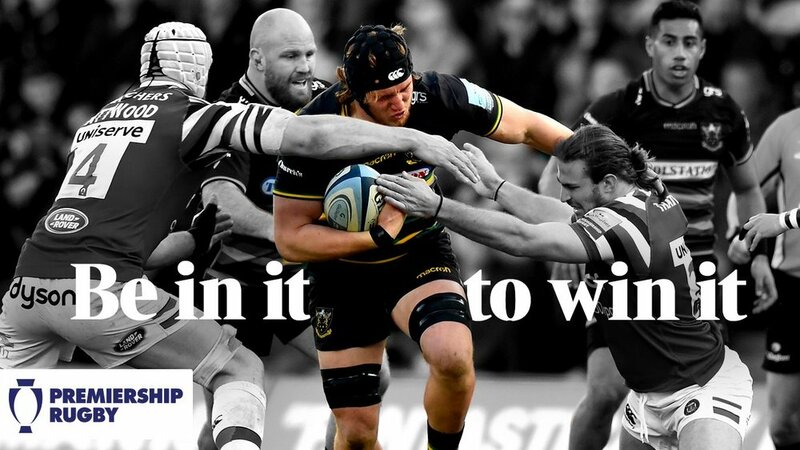 Hey @FalconsRugby - heck of contest! Newcastle opened the scoring within two minutes; Goneva split the defence and Takulua was there to finish, while fly-half Brett Connon added the extras for a 7-0 lead. 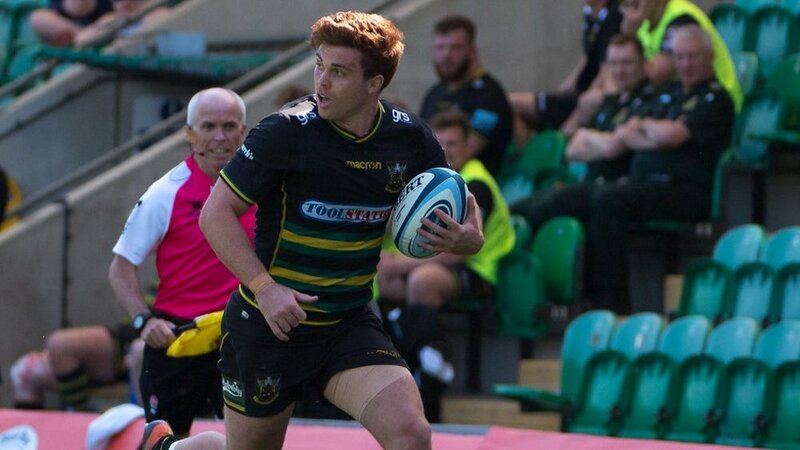 Saints had to make an early change as captain Teimana Harrison came off the field and was replaced by Tom Wood. Falcons then extended their advantage through Matavesi, who found a gap to score under the posts and leave Connon with a simple conversion, before Goneva broke clear to dot down a third converted try. From there however, Northampton found their feet and scored in the 30th minute through the impressive Furbank. Rory Hutchinson made a break and ran 60m before offloading for the fullback to finish, with James Grayson adding the conversion to make the score 7-21. However, Falcons struck back immediately after Goneva clipped the ball into the 22 and Kibirige touched down to restore Newcastle’s 21-point advantage. Northampton were on the ropes as half-time approached, but Tuala scored his first try of the season after Gibson raced down the right side and offloaded for the winger to score. And it was ‘game on’ in the 39th minute when the hosts scored a superb team try, Wood offloading perfectly for the onrushing Ludlam to finish the job and reducing the deficit to just one score at the interval. Straight after the break Gibson had try of his own confirmed by the TMO, and Saints took the lead for the first time in the game at 33-28 when Fish collected another slick offload to burst over the whitewash. Newcastle thought they had hit back through Goneva, and while that try was ruled out by the TMO for a double movement, Falcons levelled the scores soon after thanks to Chris Harris’ bulldozing run. But from there on in it was one-way traffic and Alex Mitchell fed Naiyaravoro who powered through two tackles on the left wing to score again – with Grayson’s conversion attempt going through off the post to make it 40-33. 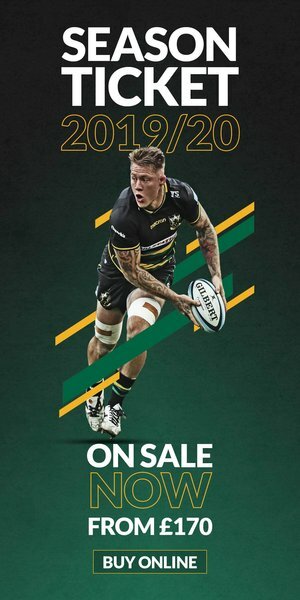 The men in Black, Green and Gold extended their lead when Brüssow scored from the back of a maul, and Burrell put the result beyond doubt as he finished off a sensational length-of-the-field team try – with man-of-the-match Rory Hutchinson creating the chance. 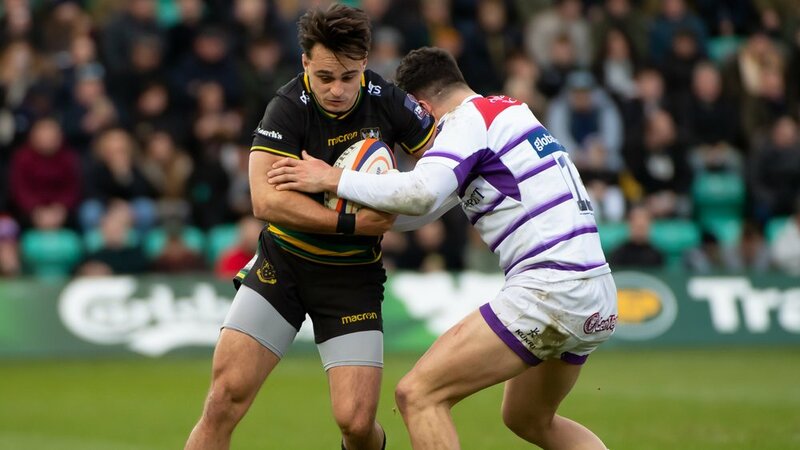 Brüssow then burrowed over for his second of the match from another maul to put the gloss on the triumph, sealing a home final berth for Saints at Franklin’s Gardens – with the Premiership Rugby Cup on the line when Saracens visit in March.